How does the food we eat end up on our plates? Decades in to an increasingly active and aware food movement, this question still yields perplexing and complicated responses. For we carnivores, the answers also involve facing — or in many cases consciously avoiding — the hard realities of animal life within the meat industry. Two documentaries at this year’s San Francisco Green Film Festival peer into the complex and surprisingly emotional worlds of hunting and fishing. In Vanessa Lemaire’s An Acquired Taste (World Premiere, Saturday, April 16, 3:30pm, Roxie Theater, SF), three teens tackle the issue of how the meat they crave comes to the table. Lemaire follows 12-year-old Nicholas and 13-year-old Alex through a one-year hunting program based in the Santa Cruz mountains. Meanwhile in Colorado, 13-year-old Ashlie has also developed the desire to hunt and goes through a similar, though notably less hippie, program teaching hunting and tracking skills to youngsters. The documentary is decidedly ambiguous. It is interesting to sit quietly beside the kids as they willingly struggle with the complicated issue of taking life to sustain life — in the midst of the fraught transition from child to teen. Meanwhile, their parents wrestle with complicated reactions to their children’s quest for a kind of knowledge none are equipped to provide, much less guide. There are moments of genuine uneasiness caused by this seemingly spontaneous desire to learn to kill. 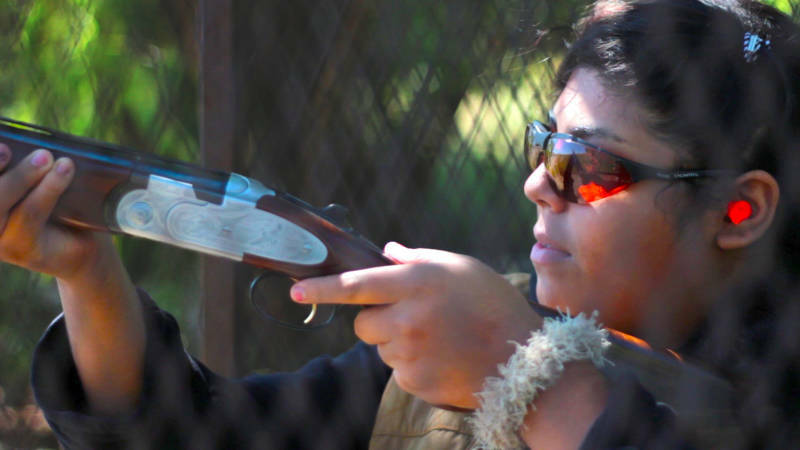 None of the parents are hunters, so they try not to communicate their fears, which are mostly about safety. But there is a deep, almost subconscious undertone in the film that feels informed by school shootings and an increasingly incoherent national debate about gun violence. This issue remains largely unspoken by the parents, though one of the kids addresses it head-on. Considering how much we depend on killing for our food, this concern seems irrational next to the kids’ genuine desire for knowledge and experience. Our culture has trivialized rites of passage, relegating them to superficial rituals that test neither skill nor fortitude. The film is a chronicle of three teens who face this void and choose to test themselves. No matter how you feel about hunting or even about eating meat, you cannot help but rejoice when, after months of study, the kids win their hunting licenses. It is a gift to witness the play of conflicting emotions that break over the kids’ faces when they finally succeed at killing. “An Acquired Taste” is a pretty apt title for this film as an experience, given how many subtly intertwined ideas surround hunting in today’s pre-packaged world. Ditto the use and abuse of the ocean’s resources. Just as it is difficult to know the lives of the animals we eat, it is also increasingly hard — in a global seafood market — to understand the nature of the catch. 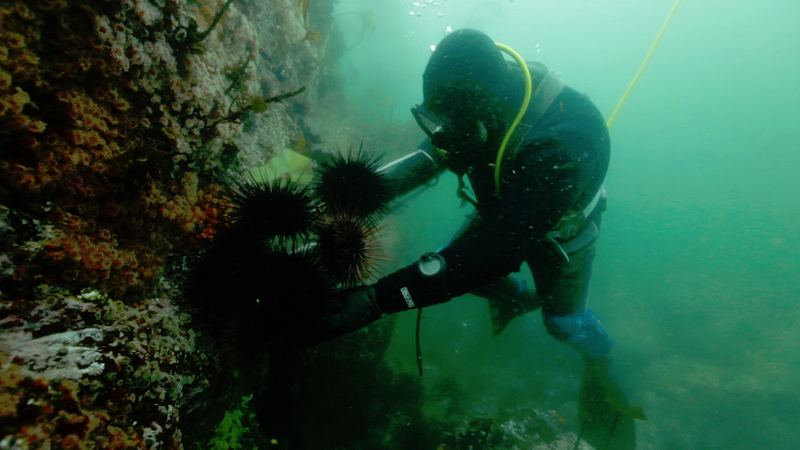 Mischa Hedges’ 2015 documentary Of the Sea (Sunday, April 17, 3pm, Roxie Theater, SF) is an in-depth exploration of the Bay Area’s fisheries and the people who work harvesting and protecting them. The film is lush with gorgeous photography and beautiful (if repetitive) graphics. It’s chock full of facts and figures about the nature and state of health of northern California fish populations, with intimate portraits of a handful of local fishermen who mine and manage the abundant resources of the coast. However, given the intricacies of a global fish market, it is fascinating to learn just how convoluted the journey of fish to plate has become. Other populations, whose diets are richer in seafood products than our own, often have a better appreciation for subtleties of taste that are lost on the American palate, and will therefore pay higher prices for the wild things we pull from our own local waters. Additionally, given America’s propensity for sending jobs overseas, we now lack the infrastructure to efficiently process much of the fish we catch, so some end up frozen, taking unnecessary journeys across the ocean just to be cut into pieces, refrozen and sent back to us! Anyone paying attention will understand the benefits and the distortions of globalism on the food that arrives on our plates. The 6th Annual San Francisco Green Film Festival runs Thursday, April 14 through Wednesday, April 20, 2016 at various Bay Area locations. For more information, visit greenfilmfest.org.